The Nuclear Regulatory Commission will close on Thursday, October 10, 2013 due to the Government shutdown. The NRC had been operating on "carry-over" funds but will run out of those funds on Thursday. 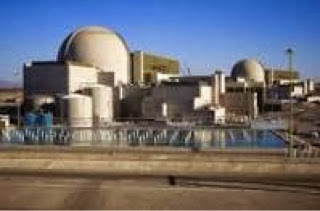 The "resident" inspectors at the 100 US Nuclear Plants will remain on the job however. And here we were told that life/safety operations would not be affected. Yes, inspectors will remain on-site and the inspector general of the NRC will remain working, but aren't there other vital functions performed by the NRC? Perhaps it is time for the President to stop worrying about pushing vets out of memorials (the "make it hurt" campaign) and start negotiating with the GOP.